Israel’s Shomron is not Just Strategic, it’s Biblical, Booming and Beautiful - Breaking Israel News | Latest News. Biblical Perspective. The Shomron region is strategic, peaceful and beautiful. And, its Biblical. 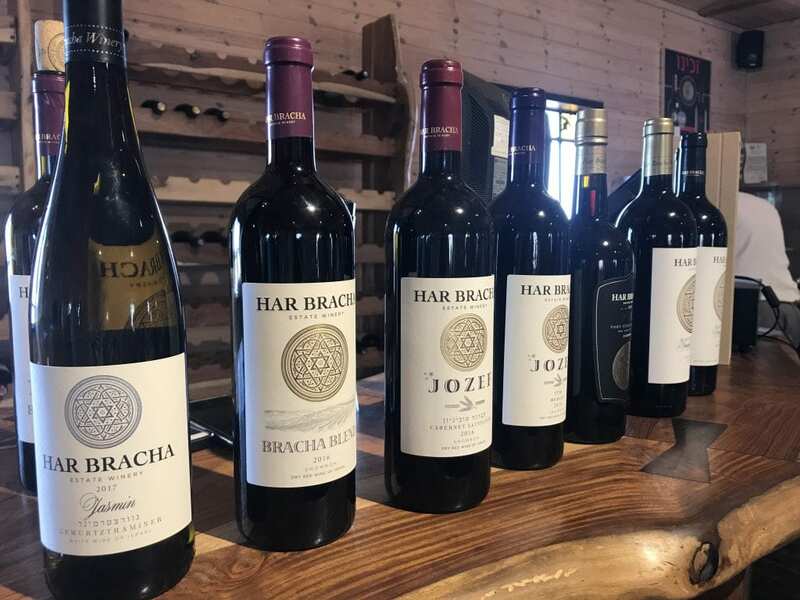 In a partnership between Israel’s Shomron regional Council and the Israeli Ministry of Strategic Affairs, more than two-dozen social media influencers gathered in Israel’s Shomron region on May 24 to learn about the strategic importance of the region, in addition to visiting several businesses and wineries. Based on the borders of the Biblical Kingdom of Israel, including the Israelite tribes of Ephraim and Menashe, the name “Shomron” comes from the Hebrew word “shemer,” the individual from whom King Omri purchased the site for his new capital city in 1 Kings 16:24. Today, the Shomron Regional Council acts as the municipal government for 33 small towns, representing 26,000 people, in Israel’s Shomron region, the central, mountainous region of the ancient Eastern Mediterranean. It is the largest regional council in all of Israel, representing 12 percent of Israel’s territory. The Shomron tour encouraged participants to live stream, tweet, and post throughout the day using the hashtag, #ShomronImpact, in hopes of garnering a social media reach around the world. According to tour host David Ha’ivri, “One of the main issues that Israel is confronted on in the international media is Israelis being in Judea and Samaria.” He said that most individuals for or against settlements have actually never visited them. “It’s not just a legal and historical right that allows Jews to live in this area, it’s a strategic right, as it’s impossible to leave here without risking Israel’s existence as a whole,” he said. The tour began at Peduel nature reserve, where Ariel Sharon used to bring guests to a lookout that he called the “terrace of the country,” where on a clear day, one can view the Israeli shoreline, from Ashkelon in the south to Haifa in the north. “The viewpoint adds perspective and scale for visitors, showing the 40 mile width of Israel from this location,” explained Ha’ivri. “Within this view includes 80 percent of Israel’s industrial interests from Gadera to Hadera, and 60 percent of Israel’s population.”. At its narrowest, without Judea and Samaria, Israel is just 9 miles, and at its widest, it is 71 miles. Judea and Samaria, unlike Gaza to Israel’s southwest, is on the mountains and has great strategic advantage. “If terrorists were on these mountain tops with rockets, they could close Israel’s main airport, which is like the countries’ jugular,” said Ha’ivri. “They could shoot at all cities and see the targets, unlike in Gaza, where Hamas shoots toward nearby areas of Israel but cannot see its targets.”. The tour then arrived at Barkan Industrial Park, one of the main targets of the anti-Israel Boycott, Divest, and Sanction (BDS) movement, where various companies employ local Palestinians who earn Israeli wages, often four or five times the average wage they would receive under the Palestinian Authority. 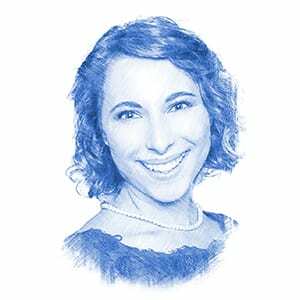 One of the companies in the Barkan Industrial Park is the Ofertex factory, which manufactures textile home goods from recycled waste, mostly wet wipes that would normally end up in landfills. 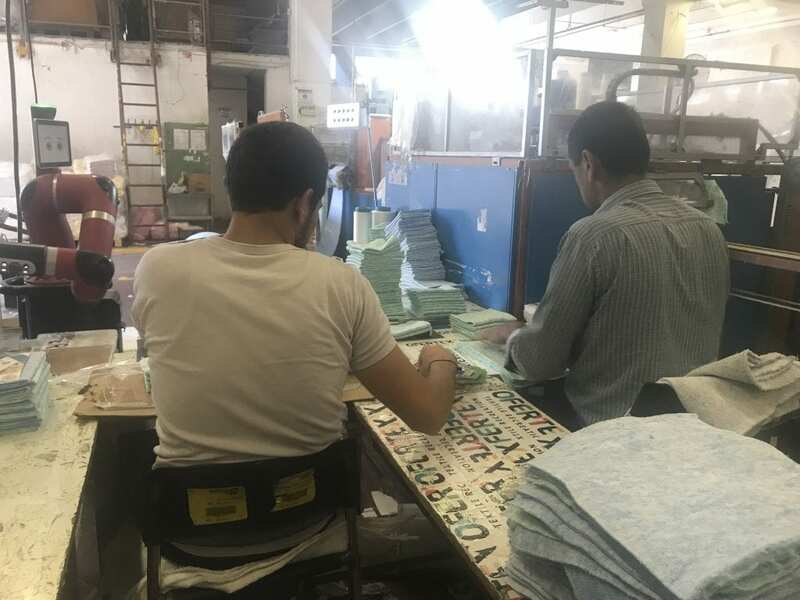 There, 100 Palestinians make Israeli wages, both in production and as administrators, working next to 20 Israeli Jewish colleagues. “If you boycott such businesses, you are boycotting Israelis and Palestinians working together. You are boycotting true peace,” added Ha’ivri. According to Danny Mayerfeld, the Vice President of USA Sales for Ofertex, their goal is to “make the world a better place to live in,” both in an environmental sense and a political sense. “The Palestinian workers want to support their family just like anyone else. We pay minimum wage and give them social benefits that any Israeli would get. We don’t talk politics, but are friends and work together,” he said. Ofertex sells in the United States to Walmart, Walgreens, the Home Depot, and the Dollar Tree, as well as to Latin America and Europe. In Europe, said Mayerfeld, BDS is a problem. To overcome this, Ofertex has had to sell some of their products in Romania to be repackaged for European use. Also, because of European BDS, the company has had to decrease their work force due to decreased European production demand. “This is not hurting just Jews, it’s hurting Palestinians who are trying to make an honest living,” said Mayerfeld. Nearby is Har Bracha Tehina factory, which is Samaritan-owned. Samaritans are an ethnoreligious group originating from the Israelites, claiming descent from the tribes of Ephraim and Menashe, two sons of Joseph, as well as from the Levites, who have links to ancient Samaria. While Samaritanism is closely related to Judaism, Samaritans believe that Mount Gerizim is the chosen place to worship God, while Jews worship on The Temple Mount. 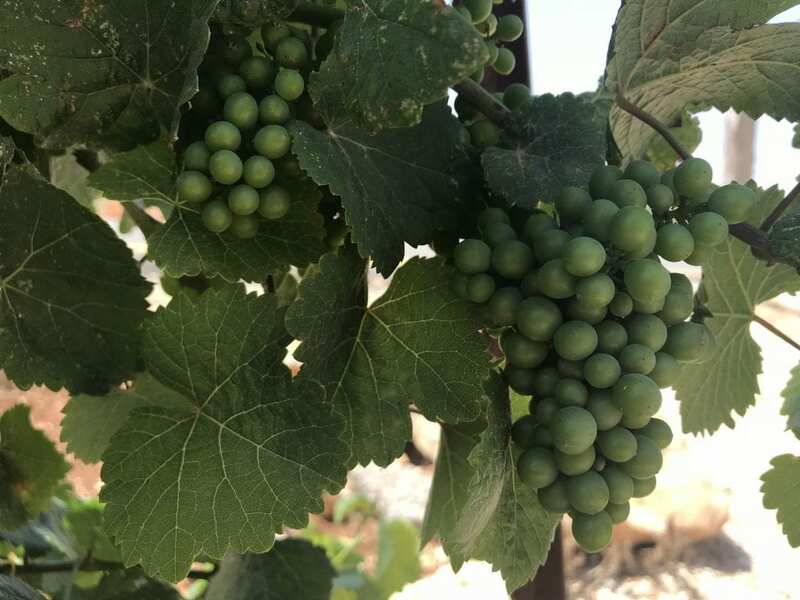 In addition to these businesses, the tour visited Zimmerman Organic Farm and Joseph’s Lookout Point on Mount Gerizim, further illustrating the Shomron’s beauty, Biblical foundations, Jewish history, and strategic importance. “All of this is what motivates us to be here,” concluded Ha’ivri.